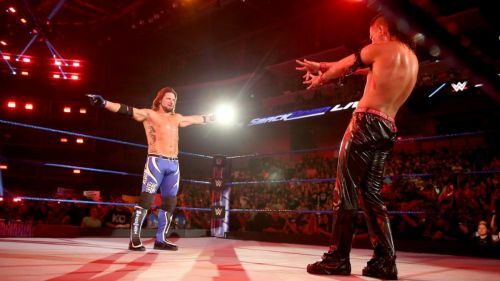 "The Phenomenal One" AJ Styles is a Superstar both inside the ring and outside of it. He’s immensely over with the WWE Universe and popular amongst the WWE Superstars too. Styles is a pillar of the wrestling industry and well respected because of it. However, despite being an influential figure, Styles has humility that shines brightly through his aura. It’s that humility that’s made him accessible to all the Superstars on this list. To be honest, this list could have gone on for pages and pages, but we have chosen the wrestlers who are closest to the former WWE Champion. Some of the names on this list were people Styles started his career with, others he’s only spent a few years with. But the one thing they all have in common is that they’ve become phenomenally close to "The Phenomenal One". You may have seen the duo together on UpUpDownDown a few times, but their friendship stretches longer than that. Many seem to look at the New Day member and think his wrestling career doesn’t go beyond the exploits of WWE and outside, wrong; Woods has had an extensive career outside of Vince’s company. In TNA, Styles was always the go-to guy and whilst he was on top, a certain man called Consequences Creed was also trying to establish himself. Woods was even given the honour of teaming with Styles a few times on TV. Woods claims those valuable rubs helped him make the step over into WWE, thus paving his career. Now the two regularly hang out together to play video games on the road!